Shift knob with black leather boot and red or grey stitching. 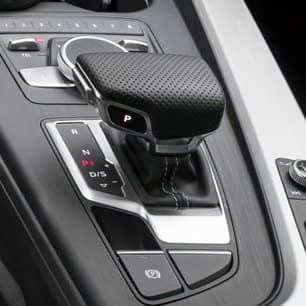 *Note this shift knob includes the lower boot fitted to the gear selector mechanism without the top shift knob trim. The shift knob trim can be added in smooth or air leather.